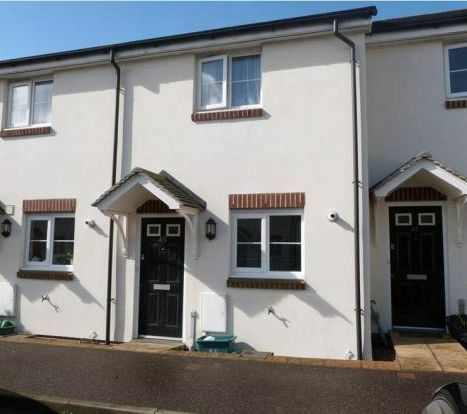 45 Buckland Close is situated on a popular development being a two bedroom mid terrace house. 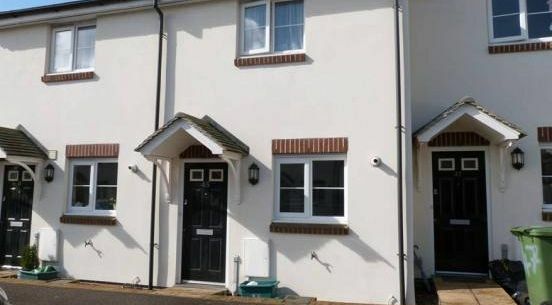 The property itself comprises fully fitted Kitchen, Lounge/Dining room and 10' Conservatory with doors leading onto the rear garden as well as a ground floor cloakroom there are two double bedrooms as well as a bathroom. There is a fully enclosed garden to the rear with lawn and patio as well as the property benefiting from 2 parking spaces. KITCHEN 9'5 x 7'6 (2.87m x 2.29m) maximum Equipped with a range of modern fitted wall and base units with work surfaces and inset stainless steel 1½ bowl sink unit with mixer tap. Built-in electric double oven with 4-ring gas hob and extractor hood over, space and plumbing for washing machine, space for fridge / freezer. Matching wall unit concealing boiler supplying domestic hot water and central heating, single radiator, spot lighting, tiled, UPVC double glazed window to front elevation. CLOAKROOM with low level WC and pedestal wash hand basin, radiator, extractor fan. LOUNGE 12'1 x 11'4 (3.68m x 3.45m) with understairs storage cupboard, 2 radiators, TV point, telephone point, feature fireplace with electric flame effect fire inset, wooden mantle and marble effect surround and hearth, fitted carpet. CONSERVATORY 10'1 x 9'3 (3.07m x 2.82m) with laminate flooring and door leading to rear garden. BATHROOM with white 3-piece suite comprising panel bath with shower over, pedestal wash hand basin and low level WC. Extensive wall tiling, shaver point, extractor fan, radiator and vinyl flooring. BEDROOM ONE 12'1 x 8'4 (3.68m x 2.54m) with UPVC double glazed window to rear elevation, TV point, radiator and fitted carpet. BEDROOM TWO 7'3 x 12'2 (2.21m x 3.71m) with UPVC double glazed window to front elevation, telephone point, TV point, radiator and fitted carpet. 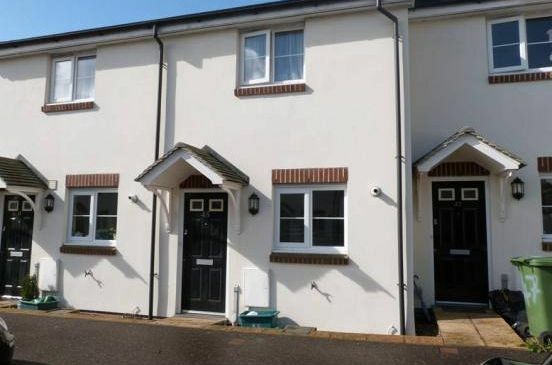 A paved pathway leads to the front door and there are 2 allocated car parking spaces. The rear garden is accessed from the conservatory and is laid to patio with space for table and chairs and having a gateway providing pedestrian rear access. Strictly by appointment through the Sole Agents, Cowlings on . Out of office hours to Claire Reed on . From Bideford Quay proceed up the main High Street turning left at the top and continue through Old Town. Upon reaching the pedestrian crossing continue straight across onto Clovelly Road. After approximately ½ mile take the left hand turning into Bowden Green and follow the road as it bears to your left. Buckland Close will be found the 1st turning on your left hand side. Follow the road through the development as far as you can go. Turn left and number 45 will be situated on your left hand side.